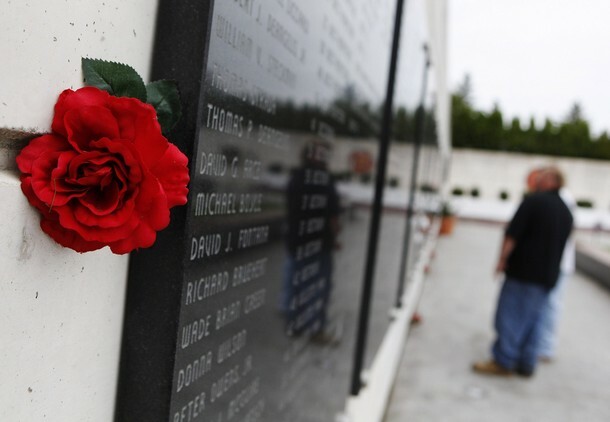 A flower hangs from the side of a memorial site that lists the September 11th victims' names of the 344 Nassau County residents, who died in the World Trade Center and on Flight 93, in East Meadow, New York May 2, 2011. 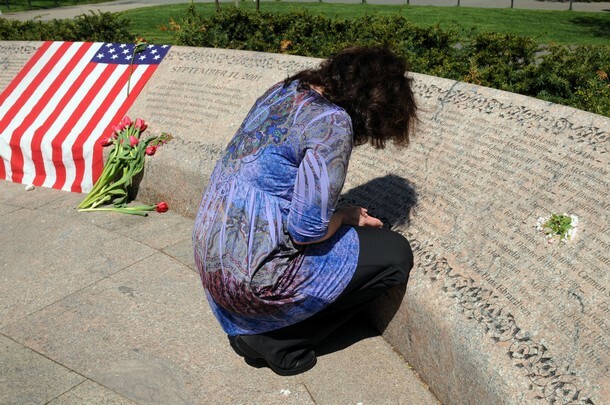 Flowers lay on the Garden of Remembrance May 2, 2011 in the Boston Public Garden in Boston, Massachusetts. 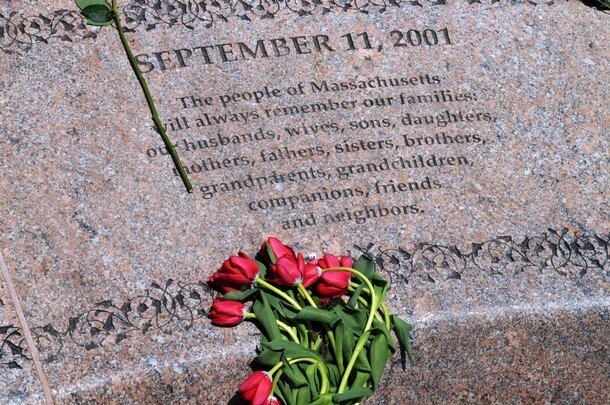 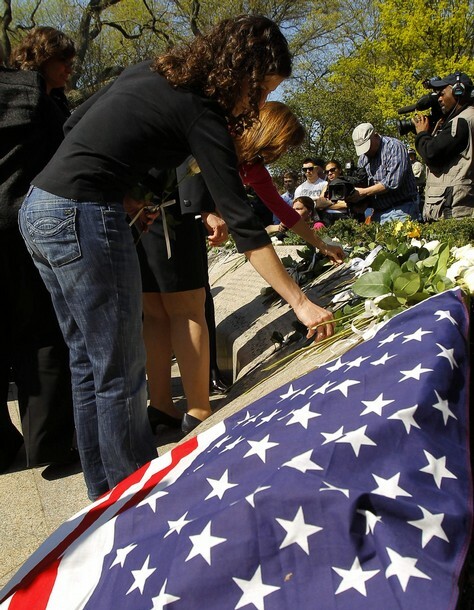 Families of local victims of the Sept. 11, 2001 terrorist attacks gathered at the 9/11 memorial to reflect upon the death of Osama Bin Laden. 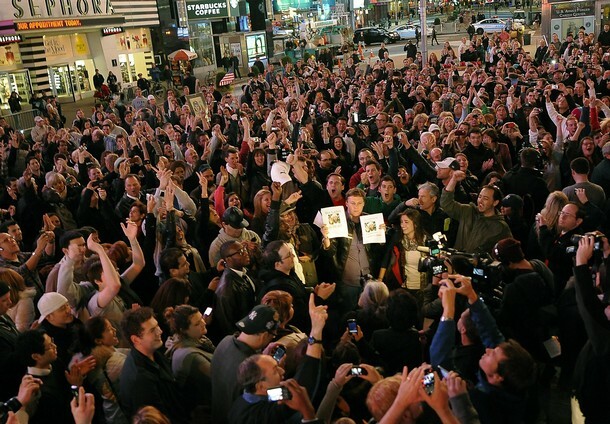 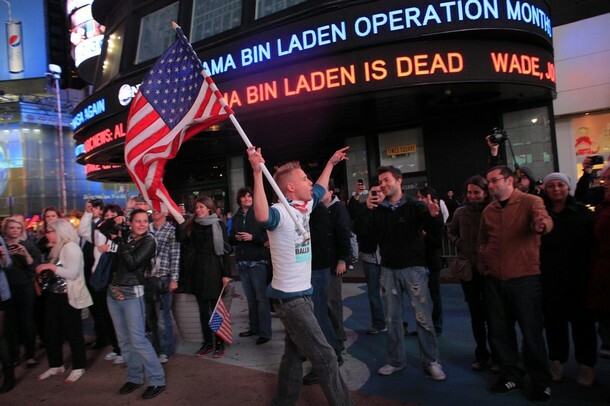 PPeople gather in Times Square New York May 2, 2011 shortly after the announcement from the President Obama announced that Al-Qaeda mastermind Osama bin Laden was dead and the United States has his body. 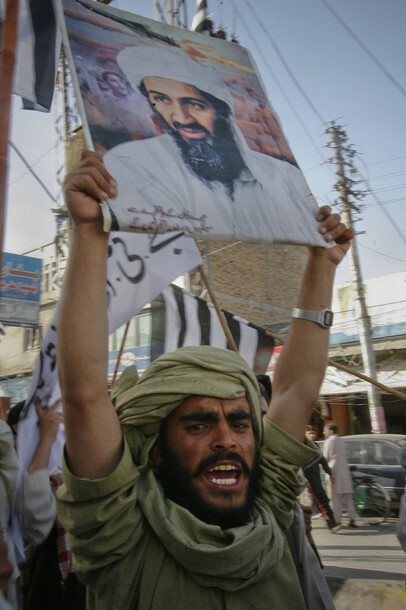 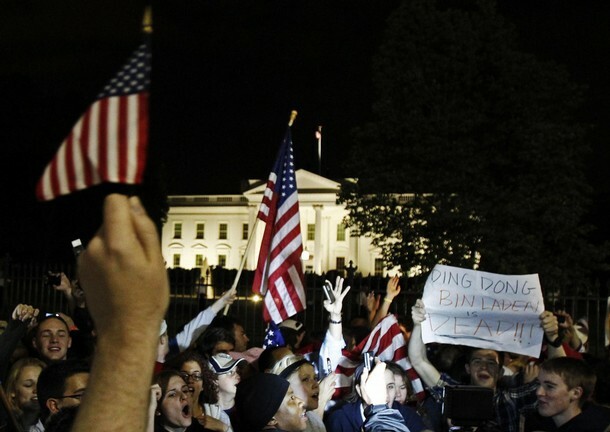 Bin Laden was killed in a mansion close to Islamabad. 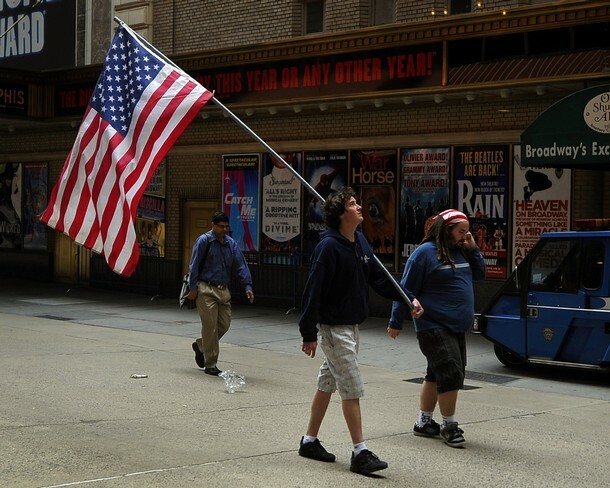 A man walks carrying a American flag walks through Times Square New York May 2, 2011 the morning after US President Barack Obama announced that Al-Qaeda mastermind Osama bin Laden was dead. 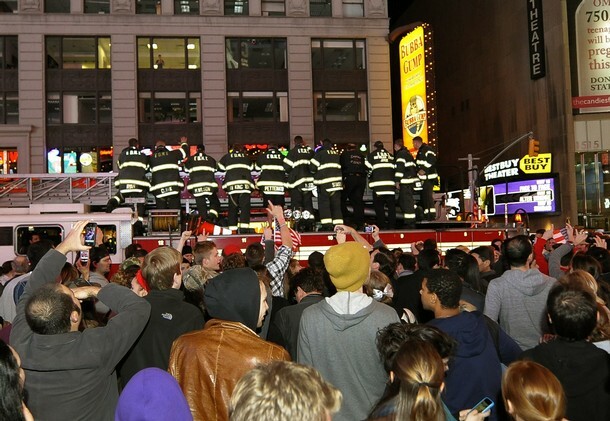 New York City firemen in Times Square New York May 2, 2011 shortly after the announcement..
People celebrate singing patriotic songs and chanting "USA, USA" after Al Qaeda leader Osama bin Ladenwas killed in Pakistan, during a spontaneous celebration in New York's Times Square, May 1, 2011. 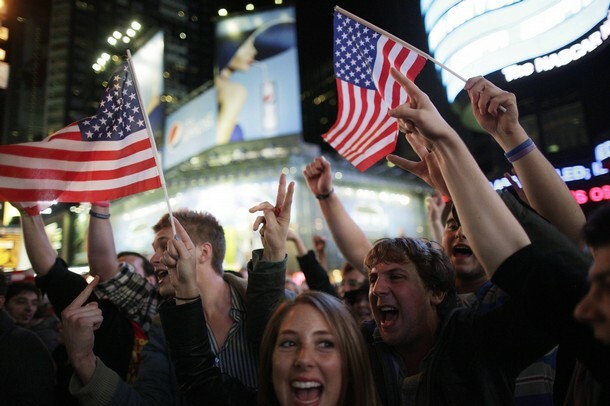 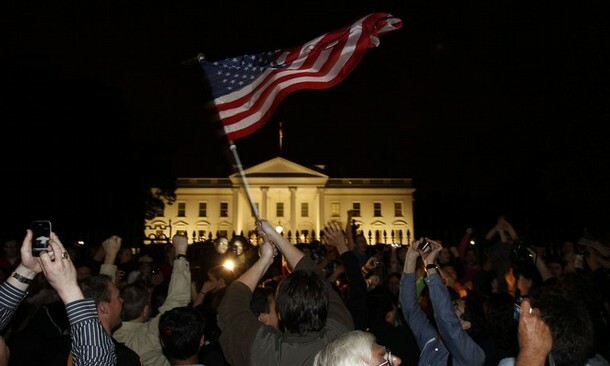 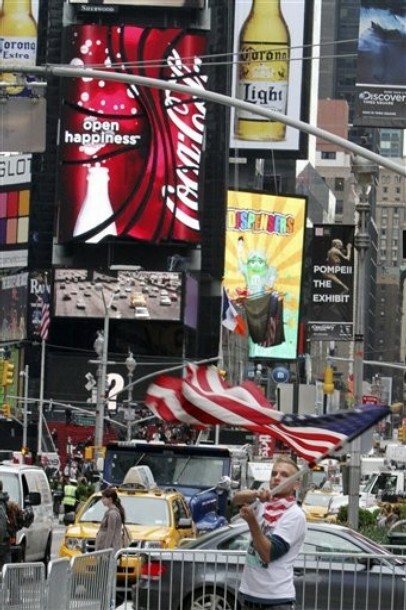 N.J. man waves an American flag in New York's Times Square, Monday, May 2, 2011. 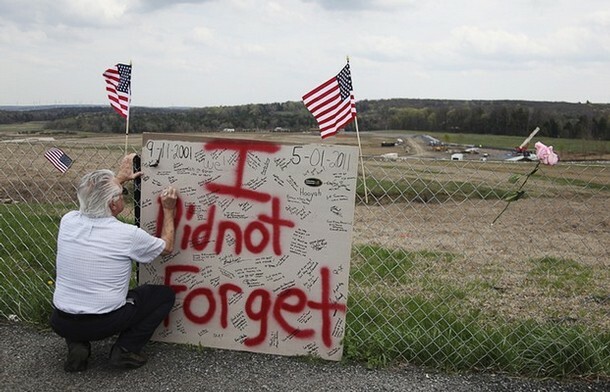 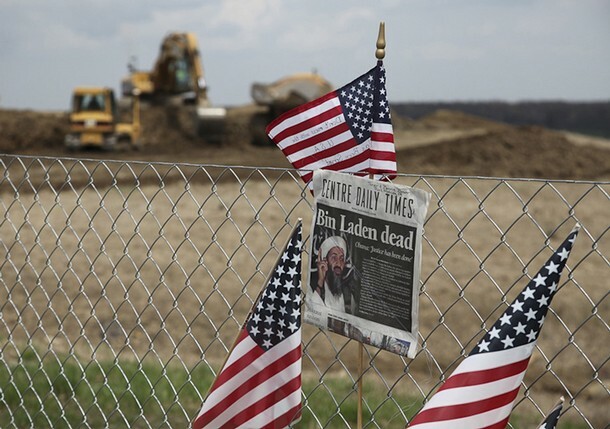 Newspaper front pages and United States flags left by visitors are seen at a temporary memorial on a hillside above the United Airlines Flight 93 crash site from the 9/11 attacks in Shanksville, Pennsylvania May 2, 2011. 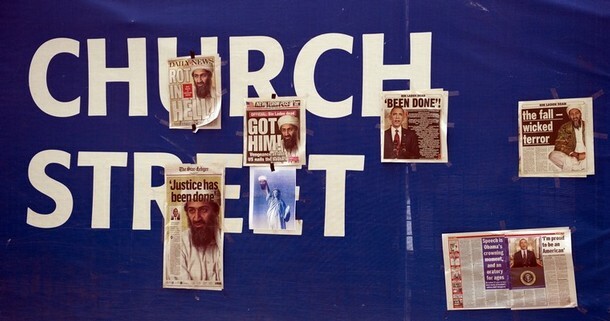 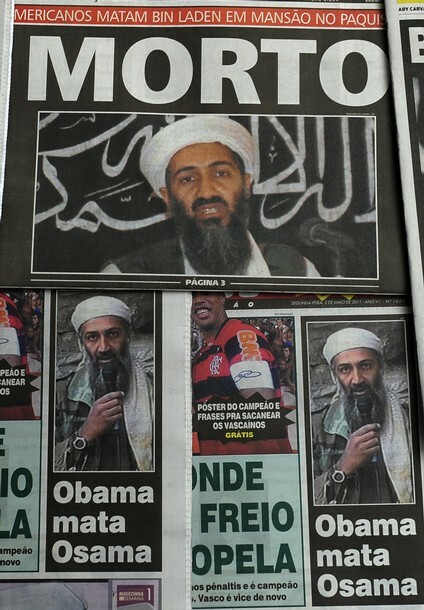 A man takes a photo of a smiling young man next to the fence around the World Trade Center May, 2011 in New York covered with news clippings Al-Qaeda leader Osama bin Laden. 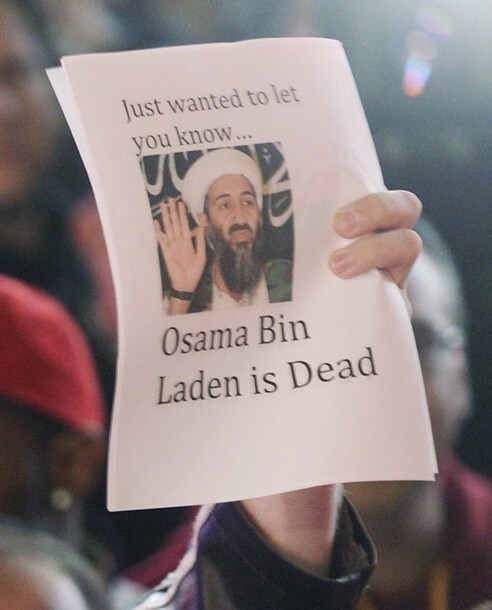 A woman looks at Newspaper front pages announcing the death of Al Qaeda leader Osama bin Laden May 2, 2011 in front of the Newseum in Washington, DC. 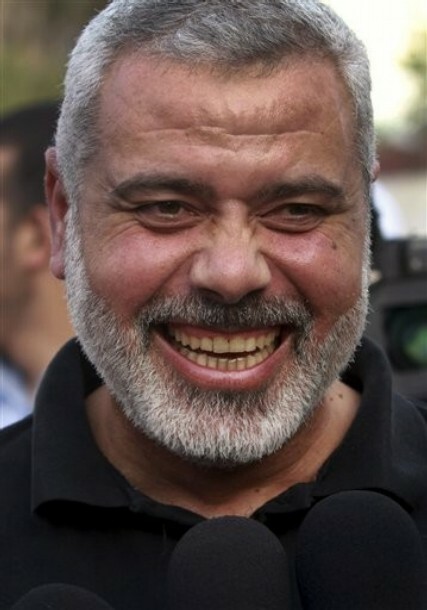 Haniyeh condemned the United States on Monday for killing al-Qaida chief Osama bin Laden, saying the operation marked "the continuation of the American oppression and shedding of blood of Muslims and Arabs."